I'm Hannah and this is my story of music, how it found me, and why I want to bring it to you and your children. I learnt to read music before I learnt to read words. My Dad was a frustrated jazz musician, kicked out of his Catholic all boys’ school aged 15 after being caught playing a homemade double bass in a jazz club in the 50s. 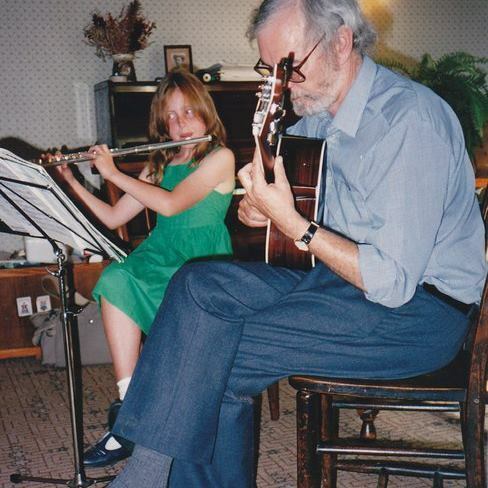 He taught me notation very early on and played me a wonderful variety of records; from Ella Fitzgerald, Charlie Parker to Tchaikovsky and Vivaldi as well as many things in between. We had a piano, but my hands were too small to play it, so aged 8 I was given a flute and enrolled with a local flute teacher who was young and hip ,and all for letting me play Gershwin over Mozart. Dad approved. I loved music. I learned quickly and passionately and it wasn’t long before I joined Harrogate Music Centre’s “Woodwind Choir”, picked up a Piccolo and Saxophone, and started to write music and sing. Through music I made many friends. I competed in the Royal Albert Hall and travelled to Canada with the school band. I marched through hail stones at every Easter Saturday Harrogate International Youth Music Festival Parade. As well as teaching flute once I’d passed my Grade 8, I also joined several local theatre groups (as an Alto) which introduced me to many more friends, and quite early on, my husband. We had our first daughter in 2013. 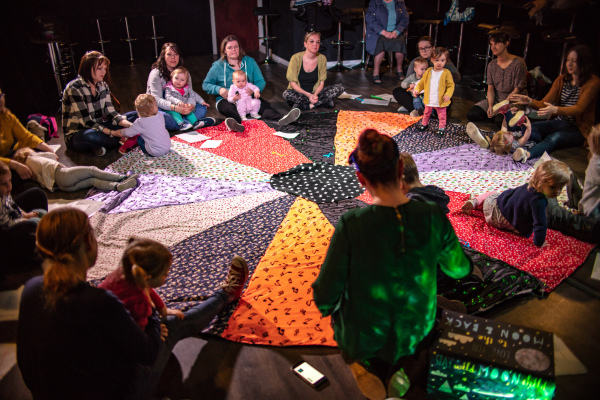 I’d been participating in various productions throughout pregnancy and it was incredible how the music I’d sung and played whilst pregnant seemed to soothe and calm my new-born baby. I attended baby groups in Harrogate and always noticed how much she responded to the musical elements. She also adored the CBeebies programme “Melody” which introduces their young viewers to classical and instrumental pieces of music. If we put Melody on the iPad I was guaranteed a small window of opportunity to make myself look half presentable for the day ahead. She was transfixed. 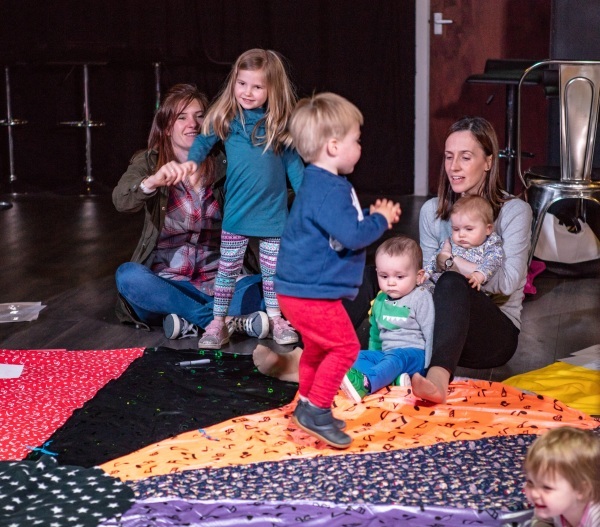 It was at this time I first got my inspiration for Musicality Kids; an all-round music class for babies, toddlers and pre-schoolers exposing them to all aspects of music before they start school. Since then, as well as raising my two daughters around music, I’ve been busy thinking and planning how I can provide your children with a fun, interactive and inspiring introduction to the wonderful world of music. 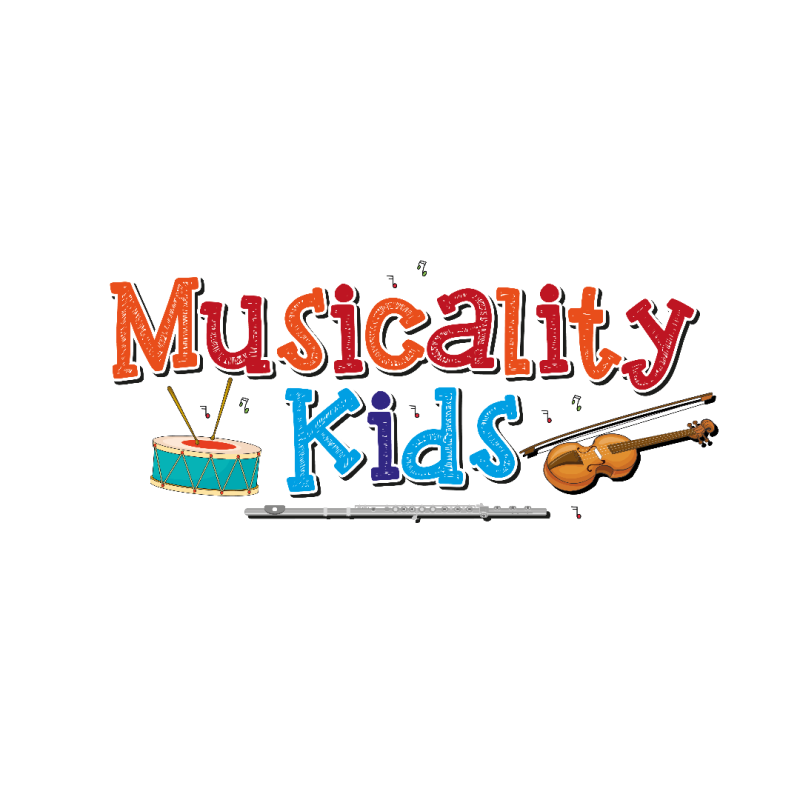 I’d love one of my Musicality Kids to confidently pick which instrument they’d like to learn when they’re a bit older by knowing what it sounds like, what you can do with it and what doors it will open for them. Please take a look at my sessions and feel free to contact me with any questions you may have. The formal stuff: I have an enhanced DBS check and am fully insured.